After two years, Lubin joined a small West Palm Beach firm, handling trial work, including civil matters, divorces and personal injury cases, while building a criminal practice. In 1980, he opened his own firm in partnership with Nancy Hamill, formerly with the Legal Aid Society of Palm Beach County. However, she died of cancer in their first year of practice. When digging into his cases, Lubin has found incorrect statements or identifications by supposed witnesses to a crime, statements that were signed under coercion and information that was withheld by the prosecution. “We always have to remember that an arrest is one thing, but a conviction requires clear proof, because sometimes things aren’t what they appear to be,” he says. Lubin’s success as a defense lawyer has been recognized on a national level. He is a former president of the American Board of Criminal Lawyers and former board member of the National Association of Criminal Defense Lawyers. For many years, he served on the faculty of the National Criminal Defense College, which teaches trial skills to criminal lawyers. He has lectured around the country on topics like opening statements, cross examination of expert witnesses and closing arguments. 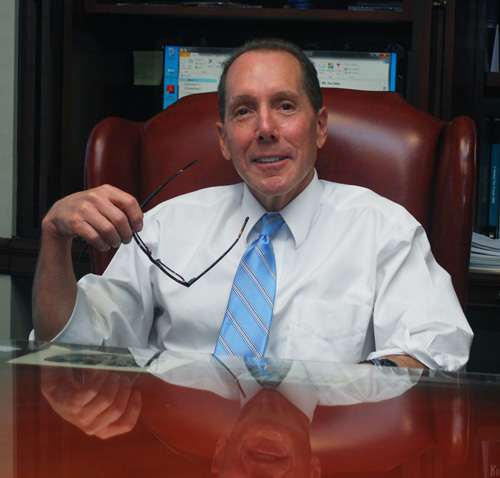 Locally, Lubin served as president of the Palm Beach County Legal Aid Society for 13 years, and was president of the Palm Beach Association of Criminal Defense Lawyers, and chairman of the Palm Beach County Criminal Justice Commission. When not working on his cases, Lubin enjoys playing golf and recently joined a senior softball league. Lubin’s son Ben is a former U.S. Marine captain who now owns a wine bar in West Palm Beach. He and his wife Kathy also have a 15-year-old son Justin, now in high school.